An organization is only as strong as its volunteers – and we want YOU! Volunteers who work in the museum store assist the Guest Services staff by helping with the register, keeping the museum organized, and greeting guests. Volunteers who work in this part of the museum need to enjoy working with and interacting with the public. Volunteers must be at least 15 years old to volunteer in the Museum Store. General Volunteers are volunteers who assist in different and various ways which includes educational programs and events. Volunteers must be at least be 12 years old (middle school age) to be a general volunteer. • International Taste of Soul (August). Volunteers must be at least be 12 years old (middle school age) to be a Special Events Volunteer. Sankofa Society Volunteers work as docents helping to lead tours and interpret information for museum guests and groups. Docents are a part of the fabric of our institution and work to provide an excellent educational experience for visitors. These individuals must enjoy working with the public, an interest in learning new things, and a passion for African American art, history, and culture. Active Docents are asked to do conduct at least five tours a month and are accepted in a winter and summer cohort. Docents are trained and attend continuing education sessions throughout the year to help and enhance their interpretation skills. Volunteers must be at least 16 years old to be a docent. Sankofa Society Aids work alongside docents and aid them during large group tours. Docent aids are not responsible for giving tours but assist in crowd control and make sure tours run smoothly while making sure tour groups are where they are supposed to be. Volunteers must be at least be16 years old to be a docent aid. 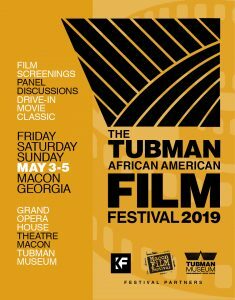 For more information or to sign up to be a volunteer please contact JacQuez Harris, Education Coordinator, at 478-845-3814 (jharris@tubmanmuseum.com). Internships are available also. Categories include: Museum Studies, African American Studies, Art, Art Marketing, Communications, Public Relations, Non profit/Public administration, Education, etc. Contact JacQuez Harris for more information.